WordCamp Montreal: A better version of Paris without having to cross the ocean. Montreal is a beautiful, awesome and much better version of what they are shooting for with Paris. To be clear, I am not comparing WordCamp Europe here, just the actual cities. I got to come directly from Minneapolis to this wonderful European style city to across the northern border to take part in WordCamp Montreal. I have never been there before and I really didn’t know what to expect. Part of my was worried that, just as in France, my vegan choices would be met with the same hostility my lack of french language skils were. The opposite was true. More on that later. The city turned out to be a gorgeous little gem of a place with a great ‘old Montreal’, Chinatown, and waterfront but with multiple ‘plant based’ restaurant chains, some of the best falafel I have ever had and very friendly folks who didn’t seem to mind dropping into English to converse. In true Canadian fashion, when anyone did assume I spoke French they would just say ‘sorry’ before moving on. I could just keep writing a love letter to the “city of a hundred steeples” but I do want to get to talking ‘aboot’ the normal stuff, so let’s go! Lunchoenette has a very nice slogan, “Feeding the community one meal at a time”. Very good food and extra friendly staff. I have mentioned it before but the speaker/sponsor dinner is really one of my favorite parts of any camp I attend. As with any community, there is a bond forged between those who do similar things and those of us who contribute through speaking and teaching have this. The awesome news is this is not an exclusive club! I would love to see this subset of the community grow and grow and grow. If you are attending camps but not submitting to speak, have I got a slide deck for you. 🙂 It was a lovely time catching up with some of my favorite speakers and meeting some new friends. WCKaraoke happened on Friday night instead of Saturday night at this camp. We went to L’Astral 2000 This had a few direct effects. Unfortunately being a loosely organized thing and not just following the normal after party meant that we didn’t have as large of a crowd of just general campers. The good news here is there where still about 12 of us that showed up and sang our hearts out and danced to many songs. It was a treat to hear the locals singing songs in French with such wonderful passion. The fact that they loved each song, no matter what language, shone through very brightly. Coffee and boxed juice and bagels, oh my! I didn’t realize that there was an ongoing dispute around the ‘best’ bagel in North America, but apparently there is. We had the Montreal kind and they were pretty great. Lunch was really good. Most trade shows I have been to recently have been very sensitive to restrictive diets and Montreal did a pretty fantastic job of meeting my needs. I feasted on tofu steak and a really well balanced mango salad with a beet based slaw. Top notch and very filling. Thanks Organizers! Being in such an awesome place with so many vegan joints abounding I put out a general call for ‘anyone who wants to go grab dinner before the after party’ join me at the Green Panther, or as it is known in French, Le Panthere Verte. I was super thrilled that a small mob turned up to partake. One of our party guests even bought a plate full of cookies for sharing. If you are in Montreal any time soon, go out of your way to get one of their peanut butter cookies. Well worth it. Full from a wonderful meal, our dinner party joined up with the rest of the after party which was already swinging at the Irish Embassy. Drink tickets were graciously and liberally distributed. While there were no local vodkas on the shelf, the extra nice staff and awesome company of so many campers made up for it. Being Montreal, most of the attendees are native francaphones and my normal ‘easing my way into the group’ plan to listen in for keywords, awaiting a chance to join the conversation failed big time. I still had a lot of really awesome conversations and we got to dance to a live band before the night was through. Breakfast was a repeat of day one. 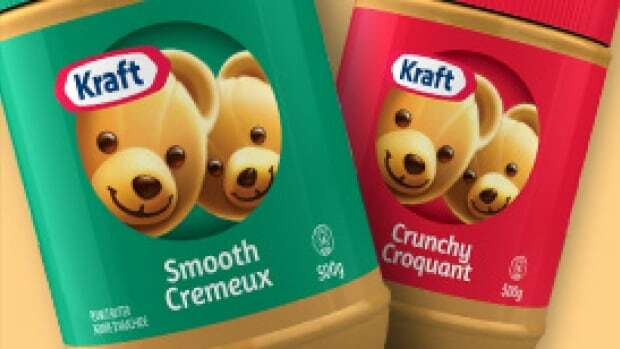 It was on the second day I realized that the Kraft peanut butter in Canada has a logo of 2 bears on it. Just what the heck bears have to do with peanut butter is a mystery to me but it was as least as good as any grocery store brand. Lunch day 2 was pizza and they ordered just enough vegan pies to serve all those on that train. The salad had these weird but wonderful preserved strawberries that were halfway between fruit leather and gummy bears. I went back for seconds on the salad as a result. I taught a Git workshop the Thursday night before normal camp days. This was hard for me mostly because I had never done this before and imposter syndrome kicked in really hard. I have taught workshops before, but about improv, which has no reliance on Getting a room full of strangers at all varying levels of skill and experience on the same page about the core concepts and 16 basic commands upon which everything else in the version control system is arguably built was a real challenge. But a challenge I am very, very glad I undertook. I called the session “Let’s Learn Git. No More Excuses!” and not “You Learn Git” or even “Learn Git” because the reality is I am still learning it. I am firm in my belief after talking to a lot of developers over the years that everyone is still learning Git and we are all somewhere on that journey together. Thank you to all who came out. I hope you walked away with a new perspective on some concepts. I know I sure as heck did. If you want to see what I taught, feel free to look at my slides, located here. I made everything animated Gifs to avoid live demos as much as I could, which I think might be a mistake for a workshop in retrospect. But it does mean each student has a reference material showing the successful execution of the command and for that reason alone I am super glad I made the gifs. There was no keynote at this camp, but we were all together for the beginning at least. A quick note. The more I think on it and the more I write about sessions, the more I am drawn to publishing raw notes instead of trying to sum up nd condense down the sessions I am seeing. There is just so much I end up leaving out by trying to summarize things into one or two paragraphs. So I think moving ahead I am going to do both. Write up a few thoughts and then push the raw notes to you here. Good for SEO? Maybe not. Good for future me when reviewing what I learned? Yep. This was a classic beginner talk about best practices around how to think about a site redesign project. One of my favorite moments was when she was asked about search rank and how a site’s name factors in and she quipped “No one is really looking up your name except you and your mom.” All solid advice from someone who learned this stuff the hard way. It was a great first session of the camp, especially one with around half of the attendees self identifying as newbies during opening remarks. Knowing what you want is the most important thing. wireframes, Custom theme or template? prototypes, design acceptance. Wire framing, she likes Balsamiq, slick plan also works. F******k Instant Articles: How do they work? Facebook. The censored word is Facebook. There are some plusses and minuses to this approach. On the one had, very fast page loads mean more traction and less bounce, but the other side is selling your soul by giving up your content into FB’s control. There are solid points on both sides of the argument, but in the end, solid page caching is always going to be crucial no matter if it is FB doing it in an optimized way or you doing it yourself. If you trust FB they have marketing that says 20% more clicks, 70% less abandon (makes since because you just start reading), 30% more shares. I check Jer’s slides for specifics after this point, hard to write down admin screencaps. This was basically a review of the first to market ‘serverless solution’ for WP and makers of one of my favorite logos in the space, Shifter. The jury is still out on this particular implementation of the idea, but the idea of JAMstack is the future. Services like Amazon Lambda are already changing the way folks think about NodeJS and Java. Again, at it’s heart, caching is really the secret to performance and scale. at first, very excited! so much, he signed up for this talk! But be sure to keep an eye on this space though. When authoring or working in admin screens, docker container is spun up, temp admin access, then spun down once page is built. Miriam did a fantastic job of making sure we were all on the same page throughout her talk. Aimed at the camper who was just getting started it was really insightful to hear her take on best practices and advice around the plugin ecosystem. This would make a pretty awesome topic for any WP Meetup as well. Warning, high level for beginners. How do you find a plugin? Do you want to do something when an event occcours? BEst practice is give unique to you prefix. Not going to lie, I did not meet the prerequisite for this session and as a result I didn’t take many notes. Just sat there trying to absorb it all. I got to talk to him after the session and admitted this. It speaks volumes about our community that he was very encouraging and reminded me that we all have our own path to learning these things. Now when I do eventually get to writing my own functions inside plugins, I will be making them much easier to translate from the start thanks to the double underscore. Back to back JS talks? Not quite. Josh did spend a good portion of his talk discussing the role of VueJS in use by Caldera, the larger take away from the case study he presented was that as WP evolves it is going to become more and more ‘part of the solution’ and not the end unto itself. Blog -> CMS -> Platform -> ? is WP a magical unicorn? My brain was rather fried by the time I got to this final talk I attended and my note taking skills suffered a bit as a result. I will admit it started out a tad slow and beginner’, but it ramped up pretty fast as he turned it into a giant Q&A with him giving his self described ‘very opinionated thoughts.” I walked out of there knowing a lot more about images in WP than when I came in the room. The only thing I would have liked to have heard him say that he didn’t cover was alt-text. WordPress makes it really, really easy to add descriptive alt-text to any uploaded image. I know this is more of an accessibility talk topic but this is something I think of a lot and I wish in retrospect I would have raised a question on it so he would have broached the subject. This is no criticism of Mike at all, he covered a lot of stuff and there just wasn’t time for everything. Super glad I went to this one. embed is not short tag it is full embed, will mess up as you move it. It has become one of my favorite things at any WordCamp to volunteer at the Happiness Bar. Getting to meet and work with people to solve all sorts of issues and questions at literally every stage of their WP journey is exhilarating. I got to help one person completely new to WP figure out if WP was even the right solution. I shared that for her specific needs she might best be served from a WordPress.com. She loved the price point and the fact that she would retain all the ownership of her content. She also dug the fact that if she ever did have need for functionality that she would need her own WP install to achieve, exporting and importing content was straightforward and very well documented. Personally, I even got some assistance and I walked away with a new local environment solution I am going to be testing out over the next few weeks. I you are going to camps, volunteer and hang out to spread the happiness yourself! I like you Montreal and I was very glad to have visited you last on this trip. Being on the road this much is stressful and exhausting but getting the chance to see so many amazing places and jam my head chock full of so much awesome knowledge is just kind of unbelievably great. I was also really glad to have the chance to see the city. I maybe should be taking more advantage of this crazy travel life and seeking out the treasures of each city I visit but then again I don’t want to ever miss a second of a WordCamp or DrupalCamp or anything else where I can hand with the community. Maybe #WCTourist next? Dwayne, thank you for the super-detailed writeup, wow! It was a real treat to meet you (for real, Paris was so brief that it doesn’t count! ), and thanks so much for your workshop! I hope you’ll come back next year! Next Next post: WordCamp for Publishers: Taking in Denver’s natural beauty and some baseball.